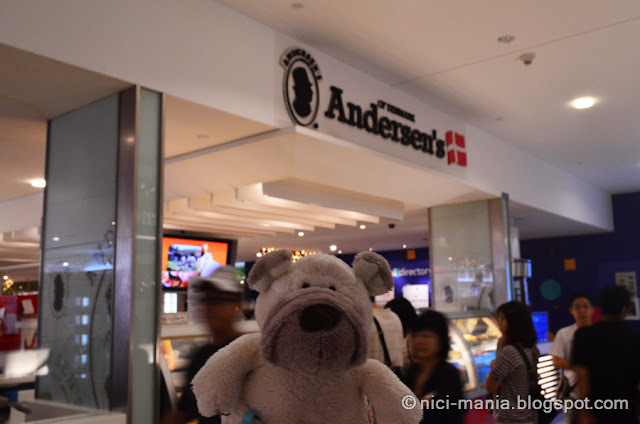 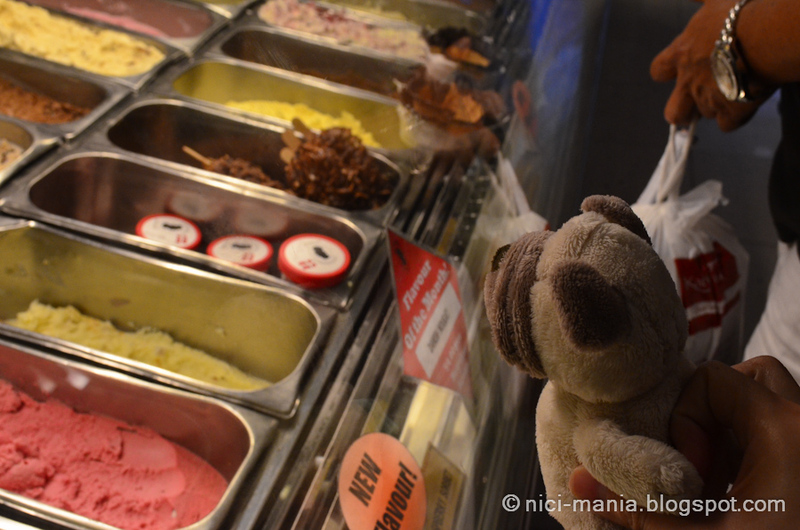 NICI Pug stares through the glass full of Andersen's ice cream like a hungry dog! 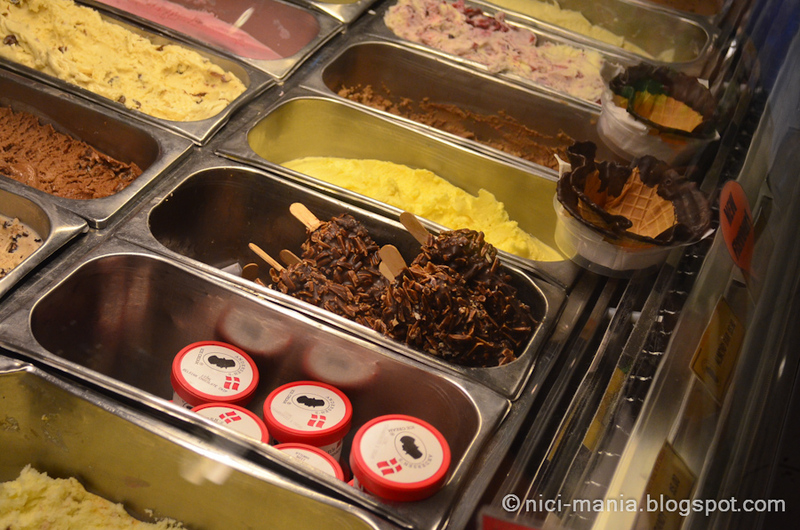 Spotted, our Andersen's almond stick ice cream! 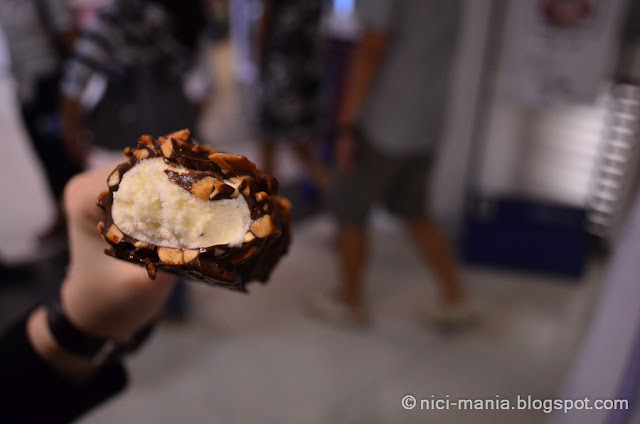 The Andersen's almond stick ice cream is full of almond nuts drowned in thick chocolate which makes it so enticing. The almond stick cost S$5.90 now. Price has gone up a lot over the years. 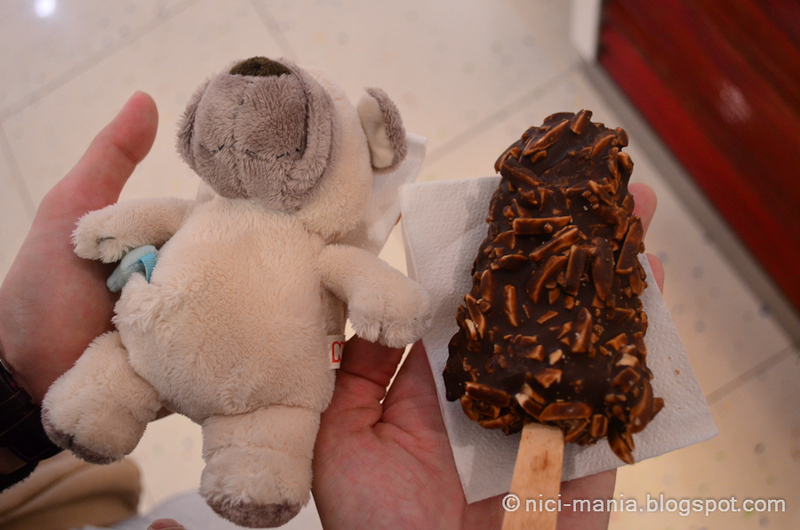 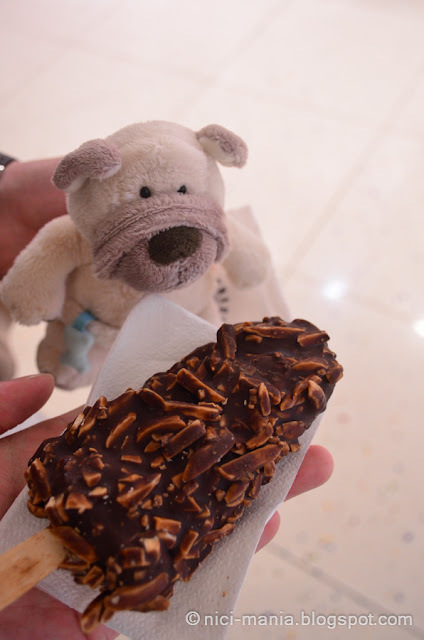 The almond stick ice cream is almost as big as our NICI pug.